“He’s been planning it for the past two years, but Randy Janes of Saskatoon finally has the camper of his dreams. 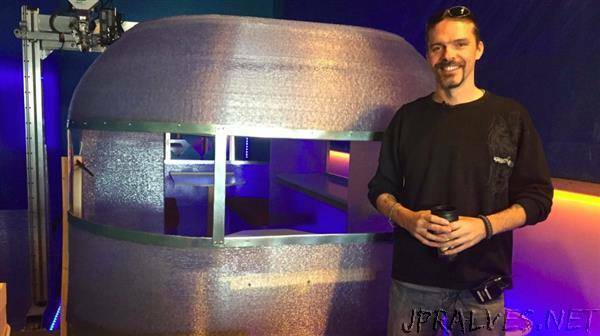 Janes developed a 3D-printed camper in what has been billed as not only the world’s largest 3D-printed camper, but also one of the largest indoor 3D-printed objects ever. The print took nine-and-a-half days with North America’s biggest 3D printer. James and his printing team now have a functioning prototype of the camper. The camper stands at four metres tall and 272 kilograms. It is essentially one large piece of plastic, which Janes says solves a lot of issues in the RV industry. The camper is also fully customizable and can even include a hole for ice fishing. It will include a full kitchen and bathroom.